US: On CBS All Access, starting January 17 at 8:30 PM ET / 5:30 PM PT, new episodes every Thursday. 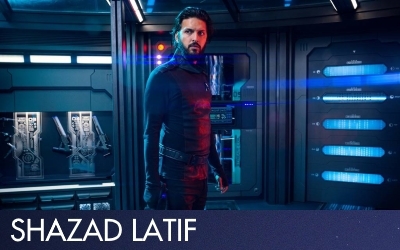 Canada: On Space, starting January 17 at 8 p.m. ET, new episodes every Thursday. On Crave starting January 18, new episodes every Friday. Rest of the World: On Netflix, starting January 18, new episodes every Friday. Thanks for doing the OT again berzeli!! Can't wait for The Adventures of Clem Fandango to start again. Does Mary Chieffo not make the cut for the OP? One thing I'm worried about is with the how the season is apparently starting minutes after where we left off, how they'll bring Tyler & L'Rell back in in without it being like "didn't we just have our big goodbye a few days ago"? There was a bit of a time gap between the end of the mission on the Klingon homeworld and the award ceremony. How much is unknown. Also there could be another skip after the first episode or two. During season 1 chunks of time would go by between episodes sometimes. That's true enough, concern withdrawn. All hype now. fake edit: TV Guide apparently also had a review up, about to add that one. I enjoyed the first season, but a few things I want from S2. 1. 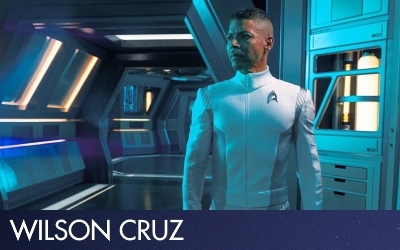 Love Michael, but I want to know more about the rest of the crew. Everyone took a back seat to her, and good as her story was, I wouldn't mind a more balanced story. 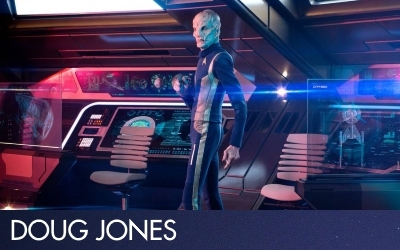 Hell, I have to look up the names of all the supporting bridge crew members. 2. More stand alone stories. Only the Groundhog Day ep last season felt like a stand alone story, and while I do like a serial story like DS9, every episode doesn't need to go into the next. 3. Lighten up a bit. Star Trek doesn't have to be so serious all the time. The red signals are across the universe? How they sense them? And how do they sense just red? Not some radiation type, or gravity, no, they sense red. Not nitpicking but that synopsis is just silly. Someone get Sydney Bristow on the case! StallionDan Across the Galaxy, not Universe, that has to be an error. Agree with all of this. Loved the show but let’s expand a bit. Some places on Wikipedia are saying 13 episodes and other places are saying 14 episode on Wikipedia again. 14 episodes. It was originally going to be 13 but they extended it to 14 a few months ago. Someone must have updated the article on Wikipedia recently, because it was still saying 13 and 14 episodes a few days ago and now it is saying 14 episodes everywhere. 22 hours to go, fellow fans! I'd like to thank the Netflix lawyers. All Access is now here since S1 but it's not getting Discovery. ha. I can't say those reviews are making me feel better about this season but I'll tune in nonetheless because I feel obligated as a Trek fan. So what's the go with season 2? 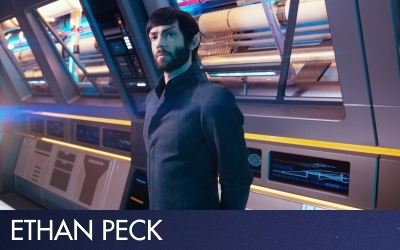 Is it a 'safer' take on Trek compared to season1? It's supposed to "catch up" to TOS somehow, whatever that means. I don't think so. Suppose to be not as "dark" because they're not in a war anymore (this was the direction it was heading in at the very end of season 1). I take that as characters are more relaxed and not on edge all the time anymore. I think dark is the wrong word to begin with.) but reviews say it's still very much Discovery. Lots of action and drama, still serialized, Burnham is still the lead character but we'll see more of others too. It's not suddenly a completely different show from the impressions I'm getting. I still expect the show to be serious when it needs to be and the trailers to me seem to suggest that while there will be more lighter moments. Those lighter moments might be a bigger deal for some more then others. Which is fine. Just don't be super forced or cheesy. What I've gathered if you enjoyed season 1 you'll enjoy season 2. If there were things you wanted improved for season 2 but still liked season 1 you'll most likely enjoy season 2. If one hated season 1 I doubt they'd like season 2 because the things they might have hated (season long arc, Burnham rightfully still being the lead character, look of the show, the action, etc) isn't being changed and there is likely more of that. There are changes but those likely aren't them. So I expect some will still be hate watching the show. Yeah I'm down with all of that stuff. Michael is a great lead for the series - who else would be the center of the show?!?! I'm ready, bring it on. 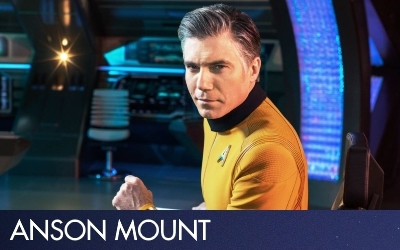 Is Anson Mount meant to be playing Captain Kirk, because he really looks like him there ? For those with Android TV, I noticed with Discovery Season 1 that the quality / bitrate seemed better when getting the CBS All Access add-on via the Amazon Prime Video app versus using the native CBS All Access app. 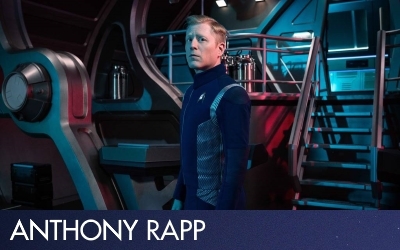 Damn, that pic in the op, looks so much like Captain Kirk! Why did they ruin the show? 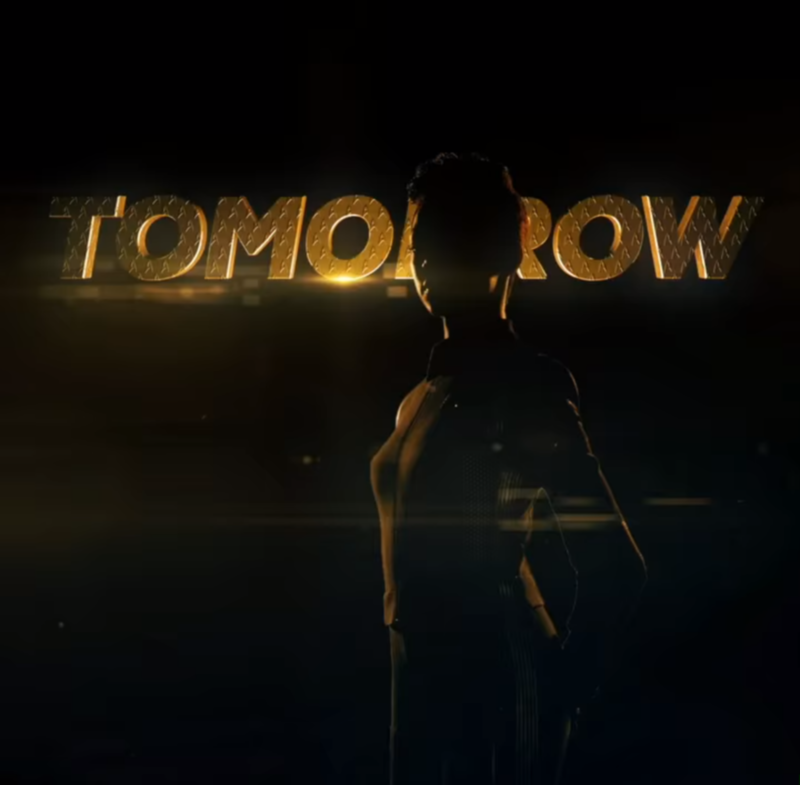 Anyone else get the feeling that this promo animation of Michael's supposed to hint that she'll end up in a gold command tunic by the end of the season? 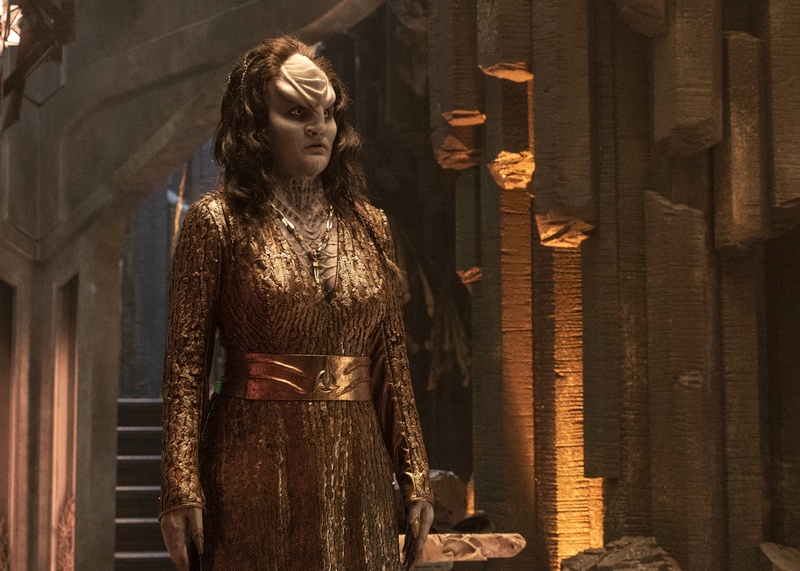 It's a bit of a reach, I admit, but I can't help but think the lighting choices - with her shirt in bathed in gold while her trousers remain black - might've been deliberate. I'm looking forward to season 2. I was very, very surprised by S1. I expected it to be a disaster after all the behind the scenes issues but in the end I really enjoyed it. I do hope they slow down a little. They went through so much story in the first season, it was like three major arcs. Huh, I've noticed something pretty nice, not sure if it's intentional, BUT on my Netflix (UK) the four Short Treks are under the Trailers and More section! Anyone else wanna check and see if I've not gone mad? I hope that's the case. I want her to be captain by the end of the season or at least beginning of the third. 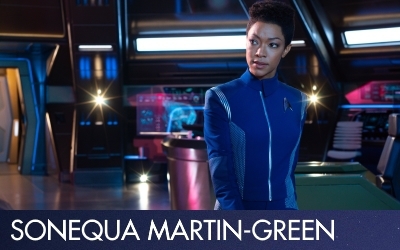 I believe it's been the plan for her to end up as captain. I just think we should get to it sooner rather then later. Nope not mad. :) They added them today it seems. Took em long enough! I dunno why I even checked under trailers and more, either, but there you go. Also, berzeli, you've done a masterful job with the OT! I thought they weren't doing that this time. I know some were hoping they'd do it again. Watched the short Treks. Mostly a waste of time. Runaway - Nothing of a story, before it revealed she actually a intelligent person it tries to frame her as a monster complete with destruction of the canteen area, but why if she actually intelligent person? Bad writing. 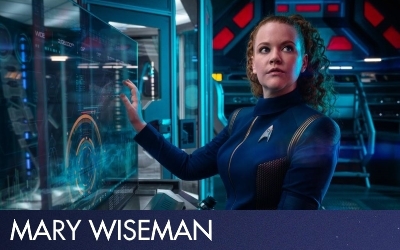 Calypso - Also pointless, contradicts other Trek, adds nothing to the show. Saru episode - Disappointing, rather than be a prey species on a planet with a predator species, they actually just willing livestock to a race with superior tech and have carefree lives. Also lol at pieces of the ship just falling off, like wtf? Surely makes more sense if Saru went an disconnected a part himself. The feds excuse to rescue him sounds BS too. Overall terrible episode and Kelpians are now to me a really uninteresting species where as before they were the opposite. Escape Artist - I actually like this one. Thought it a good side story. I should finish Season 1. Why? The story does nothing, goes nowhere, contradicts continuity and is derivative of a billion similar stories and concepts. How did Calypso contradict continuity? It takes place 1000 years in the future. It doesn't contradict anything because nothing has been set in the time period it takes place in. Oh man great find! Just checked at they’re up. Was thinking they wouldn’t be added. Glad they’re here. Well that's made my Thursday. And 40mins of tonight's viewing sorted.